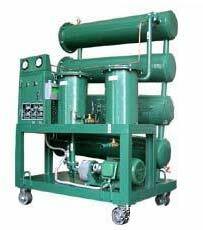 This Double Stage Transformer Oil Filter Machine is brought to the clients at competitive prices. The Double Stage Transformer Oil Filter Machine undergoes rigorous quality control tests to make it devoid of all defects. The machine is mainly used for electric power department and industries to deal with various oils such as transformer oil, mutual oil, switch oil, dielectric oil and so on. It also can be used for filtration of more than 110KV substation live line work onsite. Meanwhile, as the bridge-type vacuum linking system, Series ZYD oil purifier can be used as independent vacuum source with functions of vacuum drying and vacuum oiling.